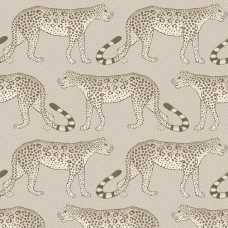 The African art and culture is apparent in this design with the African Leopard consisting of the subject of this wallpaper design and the strategically placed spots to create the art that have been used in a traditional African art method. Inspired by African exotic plants, flowers, animals and stories the exuberant Ardmore Collection by Cole and Son will be sure to add vibrancy to your home or commercial space. 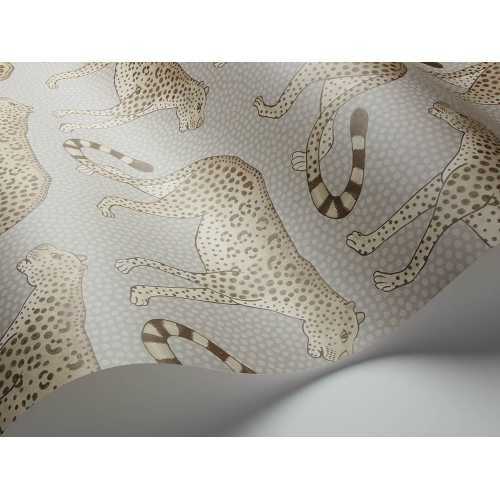 The Ardmore Leopard Walk 109/2012 is a soft colour design with a pale brown/ beige coloured leopard strolling across a beige background with lighter beige spots. 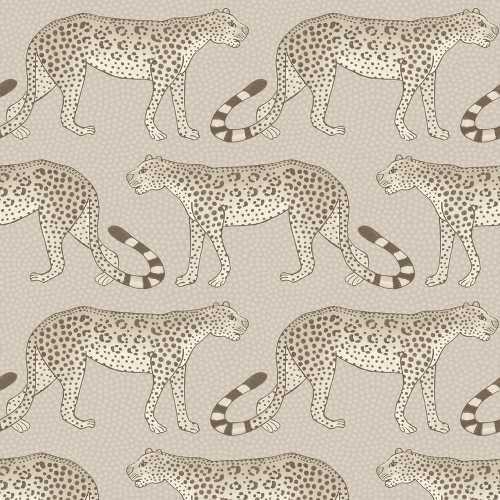 Unlike the other colourways in this print, the spots of the background are extremely subtle resulting in the leopards being a prime focus of this design. 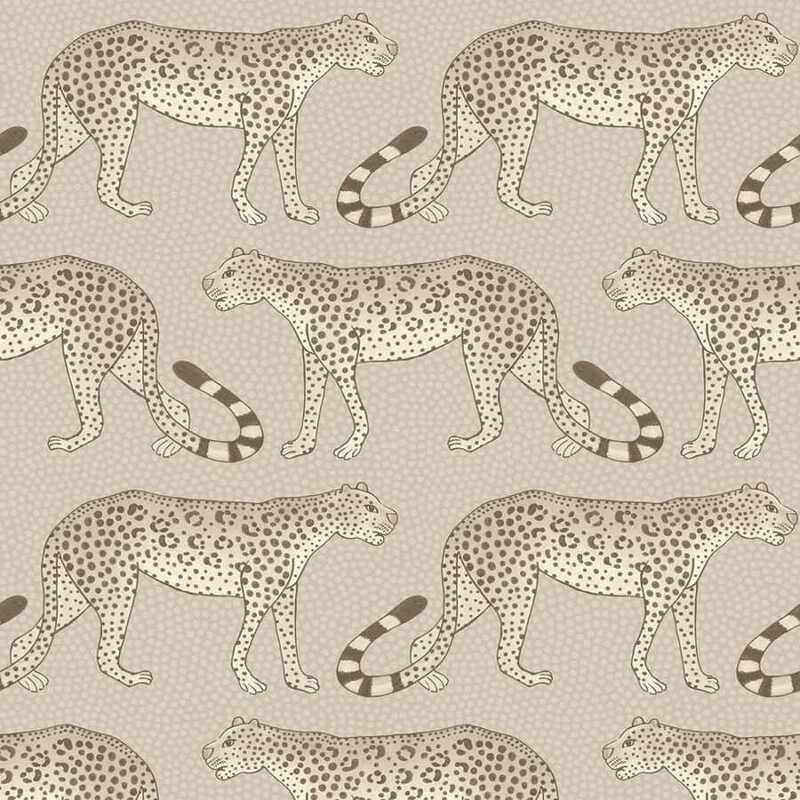 The closeness of colours along with the use of spots on the negative space on the leopard draws your eye to the design rather than the leopards individually.